Add a new year for any existing committees. 1. Click 'Committees' on the navigation menu on the left. 2. 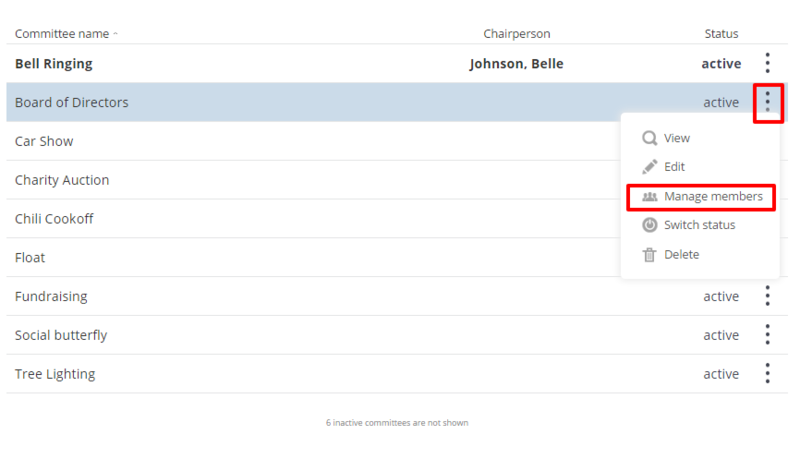 Locate any committee in the grid, then click the three dots icon and select Manage Members. 3. Select year from the drop down list then click the Edit Members tab. 4. 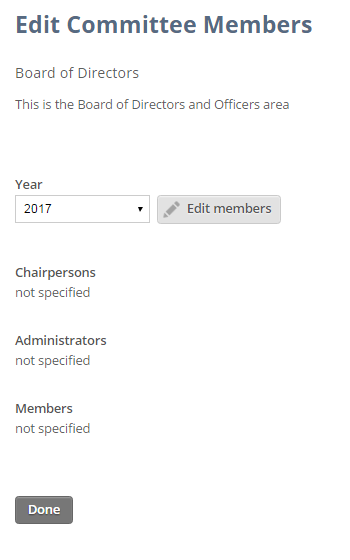 Add information, such as chairpersons, administrators and members. Start typing the member's name and then select it from the list. 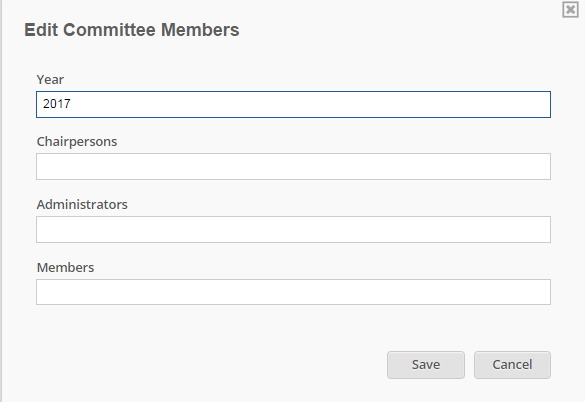 If you need to remove a member from the committee, click the trash button.